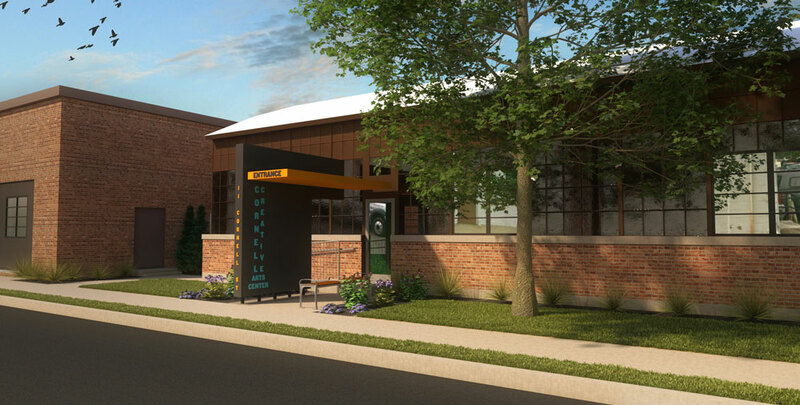 The Arc of Ulster-Greene is proud to announce the development of the new and exciting Cornell Creative Arts Center that is scheduled to be open in 2019. 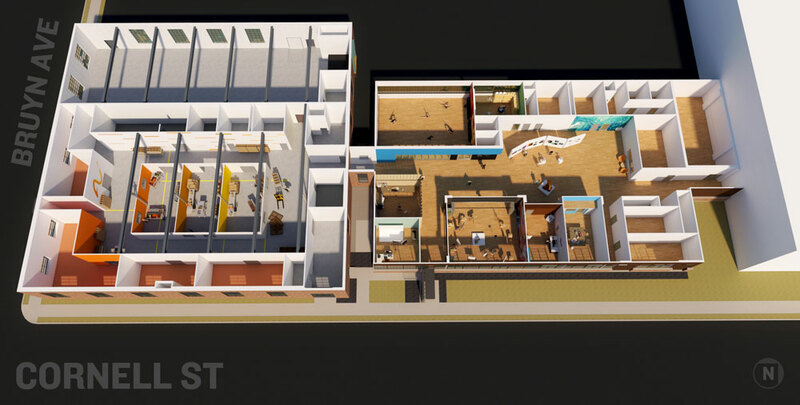 The Arts Center is 10,000 square feet of open space that will be transformed into 10 artist studios, 1 dance/movement studio and a community room workshop. Professional artists, videographers, graphic artists and various dance & movement teachers will have the opportunity to rent studio space at an affordable rate, and teach classes to people we support and to the general public. 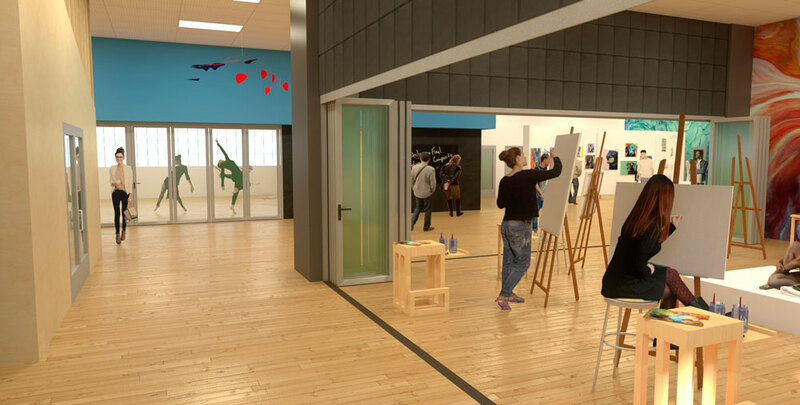 The Arc of Ulster-Greene currently supports many aspiring artists that will benefit from utilizing the Cornell Creative Arts Center as a way for them to express their artistic abilities and gain confidence and pride in the artwork they create. 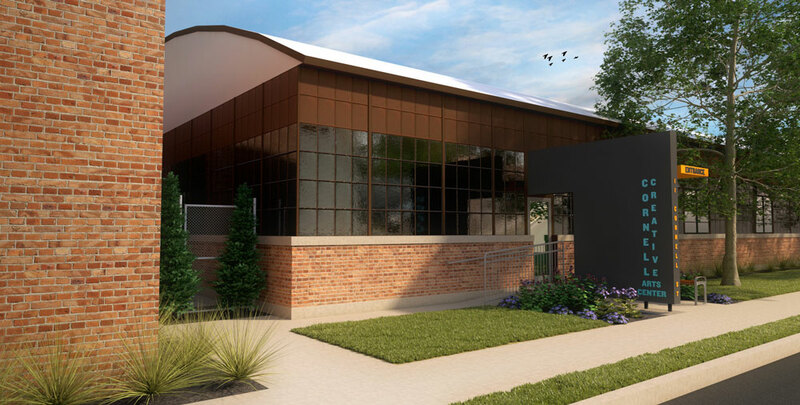 To make the Cornell Creative Arts Center a reality, we must raise $1 million dollars for the design and construction of the art studios. The 2018 Wine & Dine kicked off the fundraising efforts with their Live Auction raising over $10,000 for the Cornell Creative Arts Center. More fundraising and Donor Naming opportunities will be available beginning in the summer of 2018 for this 2-year campaign. 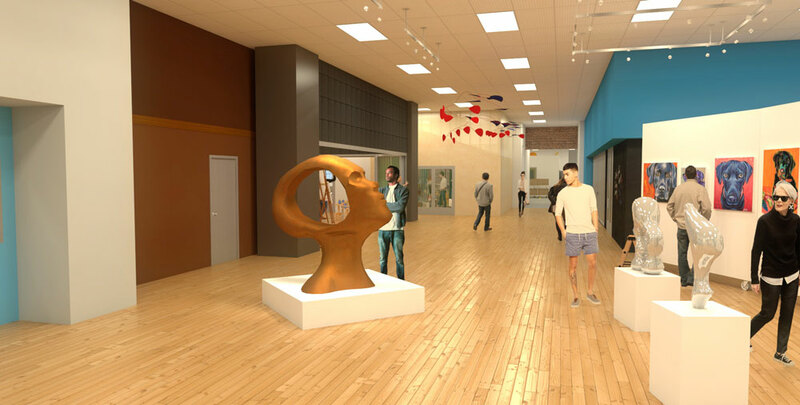 By becoming an early supporter of the Cornell Creative Arts Center you are contributing a tax deductible donation to support our efforts to convert a 10,000 sq. 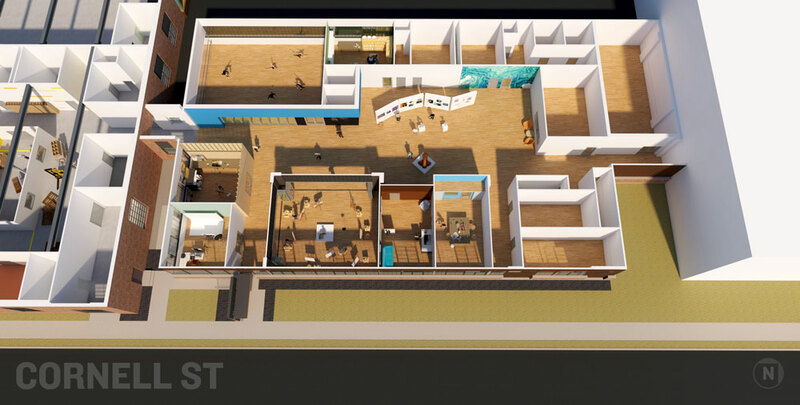 ft. dormant space into a vibrant community arts center that will supports people with disabilities and also the general community at large with state-of-the-art events and programing. 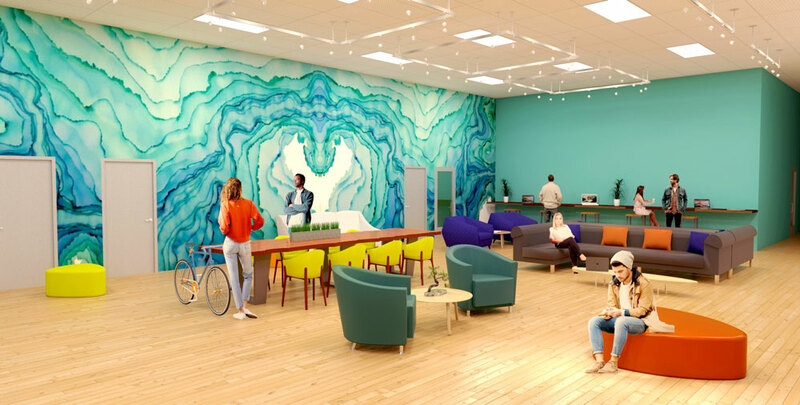 As an early supporter, you will receive updates on the progress of the Cornell Creative Arts Center, membership, collaborative co-working and upcoming events/news to share with family and friends via social media. Please fill out the form below, and also like and share our Facebook page! Just keep me up to date on the progress!